Your tour guide Boxy, bringing Yardi to the jetty to pick up the passengers. Boxy welcomes passengers aboard for the latest tour. The new and improved 'Yardi' is full and ready to depart after a quick safety message from Boxy. Another beautiful day on the Creek asYardi sets off. 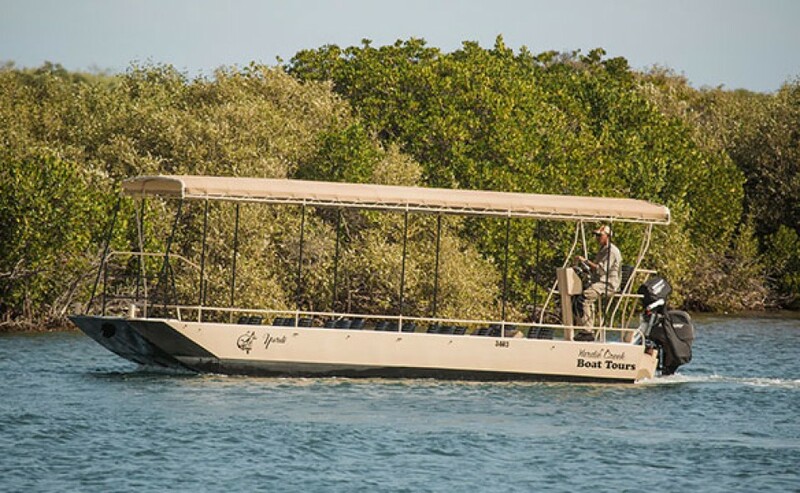 Our boat tours along Yardie Creek involve a leisurely and relaxing, eco-friendly cruise aboard our safe, comfortable and well-shaded vessel “Yardi”. 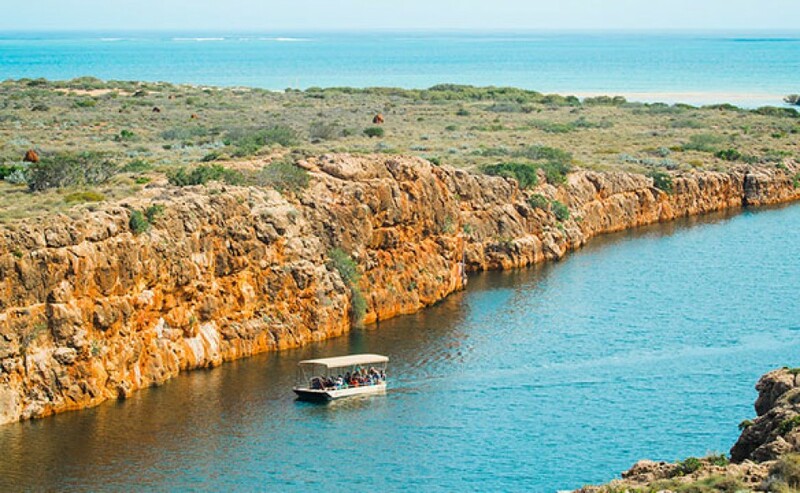 Why not make the boat tour part of your day trip around the west side of the North West Cape – it’s really a great thing to do! Enjoy the stunning gorges, unique flora and fauna, aboriginal history and the beautiful natural environment. Infants to 5yrs old* FREE! 1. Infants to 5yrs old must sit on an adults lap unless there are seats available on the boat tour. 2. 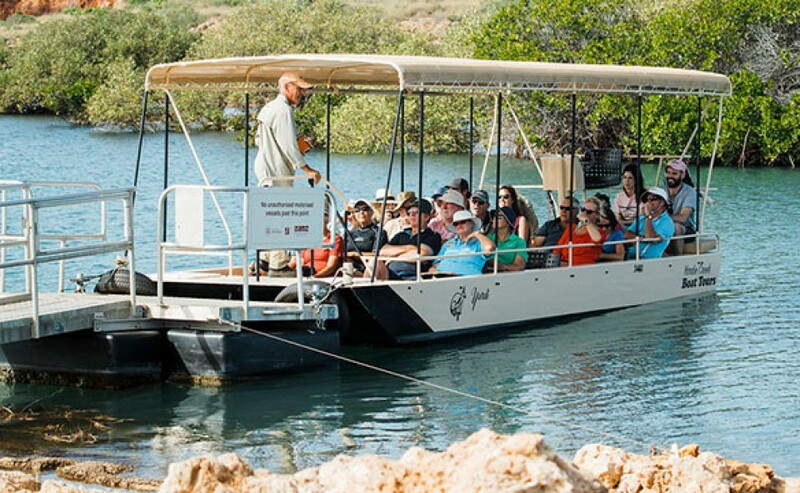 YCBT also offer a bus transfer service for our boat tours at $40 per seat. 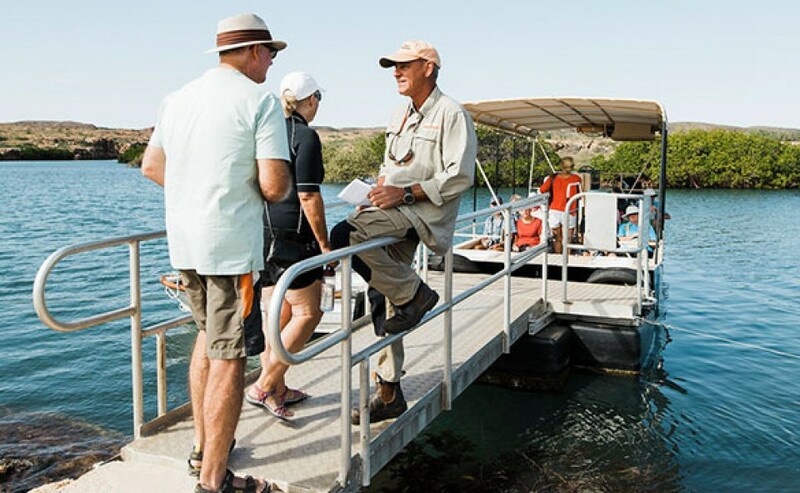 Special Events / Group Bookings / Exclusive boat tours can be arranged by request directly to the Operators – contact Mandy or Boxy to discuss your requirements! We suggest you pick up an Exmouth Map & “Visit Ningaloo” publication from the Ningaloo Visitors Centre (available free) to assist you with directions and distances to travel on the NW Cape. Please plan to arrive at the jetty at least 10 minutes prior to your departure time. Also please note that fees apply for entry into the Cape Range National Park – just stop at the entry checkpoint of the CRNP to pay. 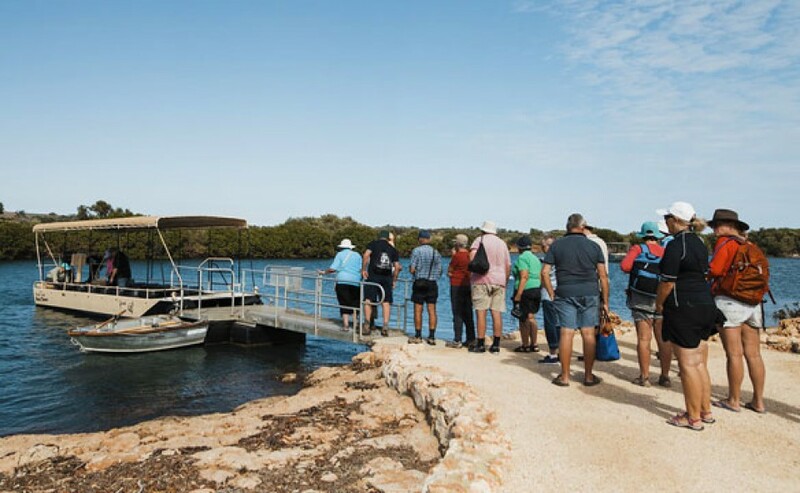 For those clients without a vehicle we can also offer the YCBT Bus Transfer Service to do the boat tour at Yardie Creek – bookings are essential, as seats are limited. Cost is $40 per seat (which includes the entry fee to CRNP). Please note we can only take passengers who can sit in a “normal” car/bus seat (ie. not infants or young children) due to safety requirements. Please contact the Operators direct to discuss or book via the Ningaloo Visitors Centre. Camera, hat, sunscreen, insect repellent, sunglasses, comfortable shoes, water. If you are using the YCBT Bus Transfer Service, also bring your lunch/snacks as you’ll have some time to relax before or after your boat tour of Yardie Creek, before we take you back into town. 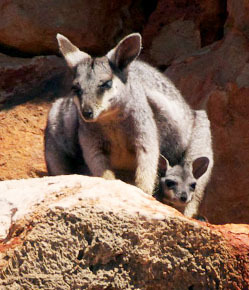 You’ll be surprised at the wide array of wildlife living in the gorge, including the rare black-footed rock wallaby, egrets, ospreys, bowerbirds and a variety of marine life. Go to the gallery. 100% refund if cancellation occurs 72 hours or more prior to tour commencement. 50% refund if cancellation occurs 24-72 hours prior to tour commencement. 0% refund if cancellation occurs 0-24 hours prior to the tour commencement. If a boat tour is cancelled by YCBT due to safety, weather conditions or unforeseen circumstances customers will receive a 100% refund. Special cancellation policies apply to exclusive group or tour charters – please confirm with Operators at the time of booking.